Heirloom garden seeds are the seed of choice for preparing for a catastrophic event. By definition, heirloom seeds are open pollenated, that is the seeds of the plant will produce the same quality of plant, and the cycle of the seeds to plants to seeds has gone on for 50 or more years. Not only are the seeds renewable, the growers of these plants claim the seeds produce a flavorful product that is reminiscent of the flavor of fruits and vegetables from years ago and superior to the hybrids. Heirloom seeds are an investment and you don't even need a life-changing event to take advantage of the benefits of these seeds, in fact, the trend for using heirloom seeds has been growing, such as the Missouri based Baker Creek Heirloom Seeds Company reporting sales up 100% in 2008. Jere Gettle, the owner of the company, claims his generation is interested in traditional heirloom seed varieties. Another reason to start heirloom gardening now is to learn how to harvest, store and save the seeds. You must remember to hold some of the most robust and flavorful fruit to harvest the seeds for the next year. Saving and drying seeds to use the next growing season requires some knowledge and beginners at heirloom gardening can get some basic guidance from "Backyard Farming on an Acre" by Angela England. 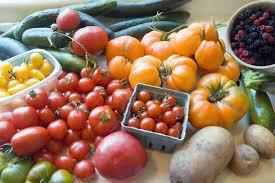 Heirloom garden seeds are disease resistant and produce very hardy plants. Going with the Darwinian principle of survival of the fittest, generations have passed down the seeds that continue to produce, and even the early seed companies contributed to the hardiness. The seed companies were regional and selected the seeds from the healthiest, most productive plants in the area. Some argue that hybrids are more resistant to disease and produce healthier plants than the heirloom seeds. The proponents of hybrids however cannot argue the heirlooms have survived for many years with some varieties claiming origins to 18th and 19th centuries. High protein seed kits offer an alternate protein source from meats. You can use these beans, peas and broccoli to supplement your protein needs, if fresh meat is scarce or difficult to get. Often heirloom plants are bigger with broader leaves creating more sugars through photosynthesis than the hybrid plants, so the resulting produce is sweeter. With the great variety of heirloom garden seeds that are available, a balanced, healthy diet is easily provided in either a pre or post apocalyptic world. Since 1975 the non-profit Seed Savers Exchange has provided fruit, herb, vegetable and flower heirloom garden seeds. Amazon carries a wide variety of seeds and you have choices of all kinds of foodstuffs from apples to zucchini and within each type of produce you have variety. For example with Swiss chard, you can choose either Rainbow Swiss Chard or Ruby Red Swiss Chard. Amazon.com provides a variety of non-genetically modified organisms (Non-GMO) to meet a variety of needs. Heirloom seed packages of herb garden seeds, herbal tea seeds and survival fruit seeds will add variety to the diet of survivalists. Myfoodstorage.com offers 16 packets of various seeds in a #10 can which if it is stored in 70 degrees it will last at least four to five years, but it will last over 10 years if you refrigerate or freeze the cans. For under $50, you can purchase the Preparedness Seeds Garden Can and you can plant your garden year after year without purchasing seeds ever again. Heirloom garden seeds offer variety in your diet and some special moments when the world you once knew no longer offers the comforts you once enjoyed. Sipping your home grown herbal tea can comfort and relax in any world, hostile or not, and a healthy balanced diet will keep you fit and prepared to meet the challenges in any environment.